It’s incredible what we can manage to pack into a work week; between commute time, errands, working out, and family, there’s barely any time to think about what to eat. The key to healthy eating is to be prepared. 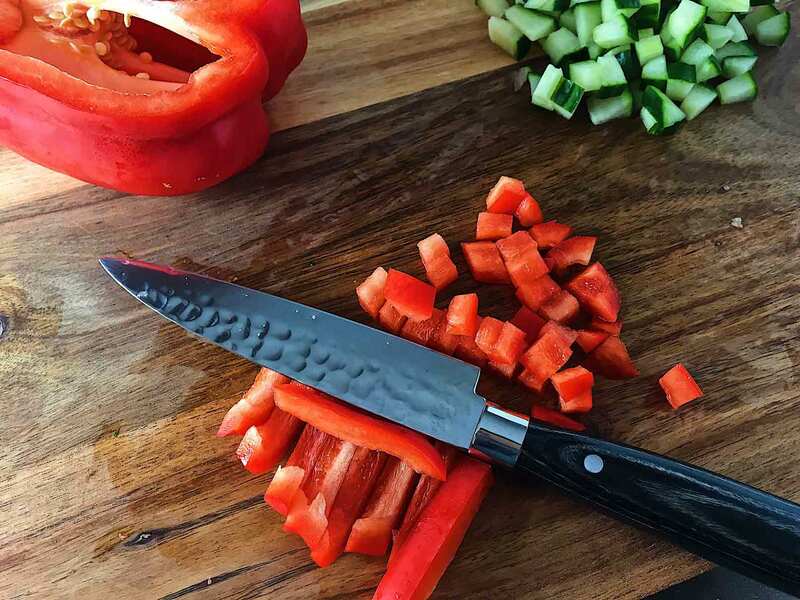 We know that cooking at home and planning ahead leads to better dietary habits and overall health, but meal-prep also saves you valuable free time and money. Last minute take-out or drive-through trips will be no more! Don’t get us wrong, we love pizza and eating out too. But since we probably already indulged in those things over the weekend, the work week is a good time to get into some healthier eating habits. Think about it like this: all week, you’re eating your way to a healthy lifestyle and setting yourself up to enjoy the perks of weekend life absolutely guilt-free. 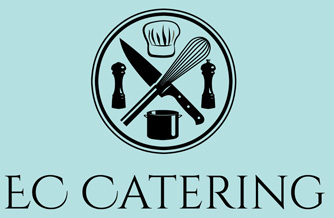 What we have in store for you today is easy to do, will make sure you avoid that “sad desk lunch” and will provide you with a healthy solution when you’re stomachs grumbling (and you’ll love every bite of it!). 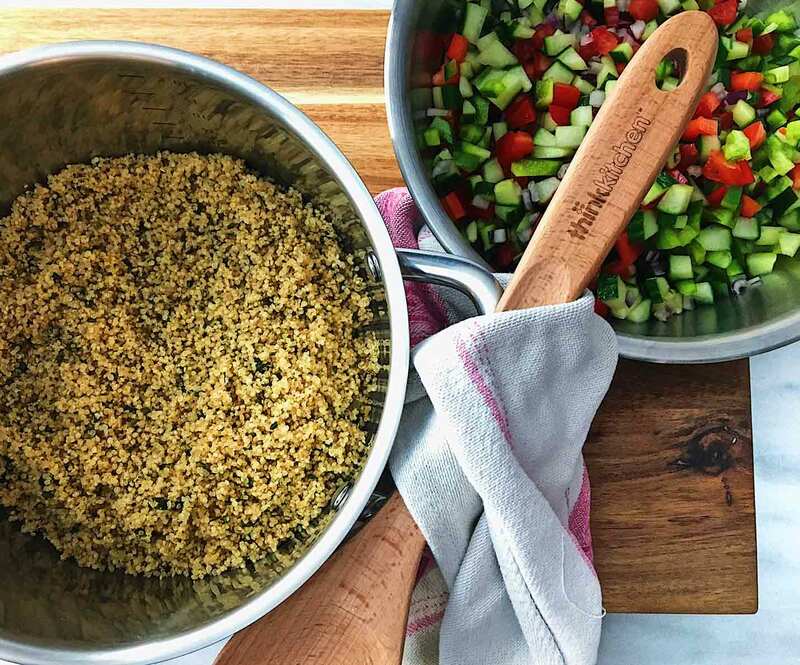 Today, with the help of recipe developer, chef and blogger Emma Cerulli, we have two quinoa-based recipes to get you through your work week. They are so tasty that they will have the whole office feeling envious! The first is a salad that will have you eating a fresh, filling, and nutritious lunch all week, and the other is a snack that will make sure you’re staying true to your new lifestyle by keeping cravings at bay and giving you the boost you need to keep productivity up. Emma’s Greek-style quinoa salad is bursting with colours and flavour. What’s even better is that it’s full of manganese, magnesium, phosphorous, potassium, and iron! These vitamins will keep you going all day long thanks to the little gluten-free quinoa seeds that are packed with them. 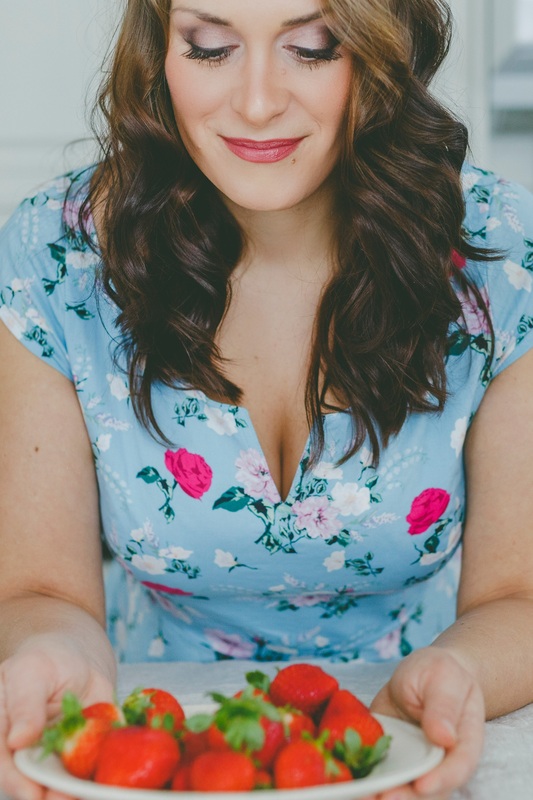 And if that somehow doesn’t get you all the way to dinner (don’t worry, we all have afternoon cravings! 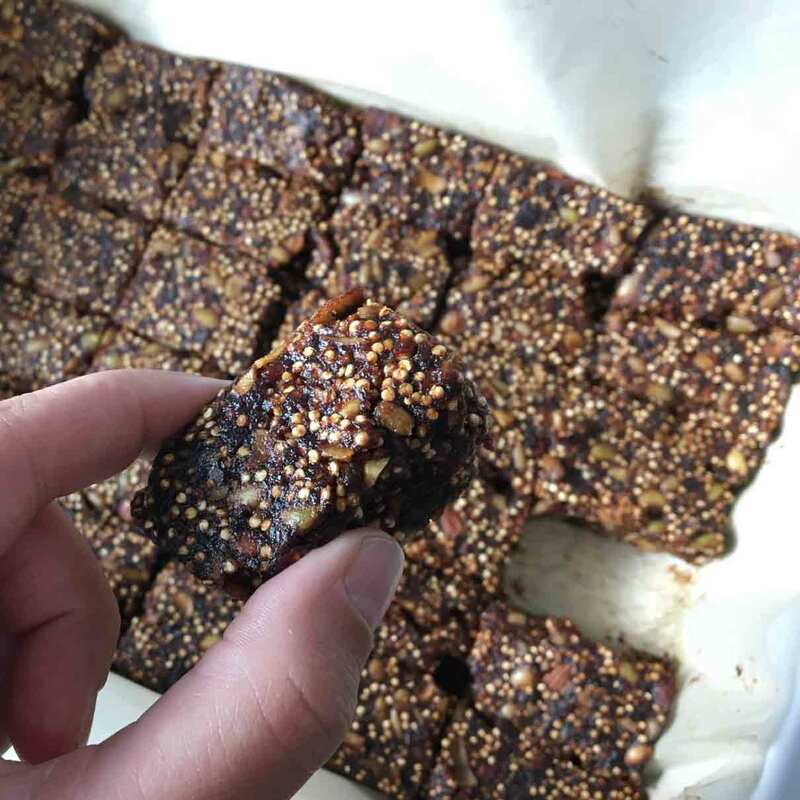 ), Emma has the remedy: her delicious sweet and sour energy bites crammed with a symphony of fruits, nuts, and seeds that will perk you right up and get you through the last few hours of your work day. The best part? There won’t be any chips or chocolate bar regrets thanks to the trusty office vending machine. Part of making sure you have a delicious prepped meal is to have the right container to take it on the go, such as a mason jar, plastic storage container or a nifty gadget. 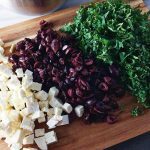 It’s important to keep in mind which ingredients you should keep apart, so that when you have lunch hours or days later, you aren’t digging into a soggy mess. 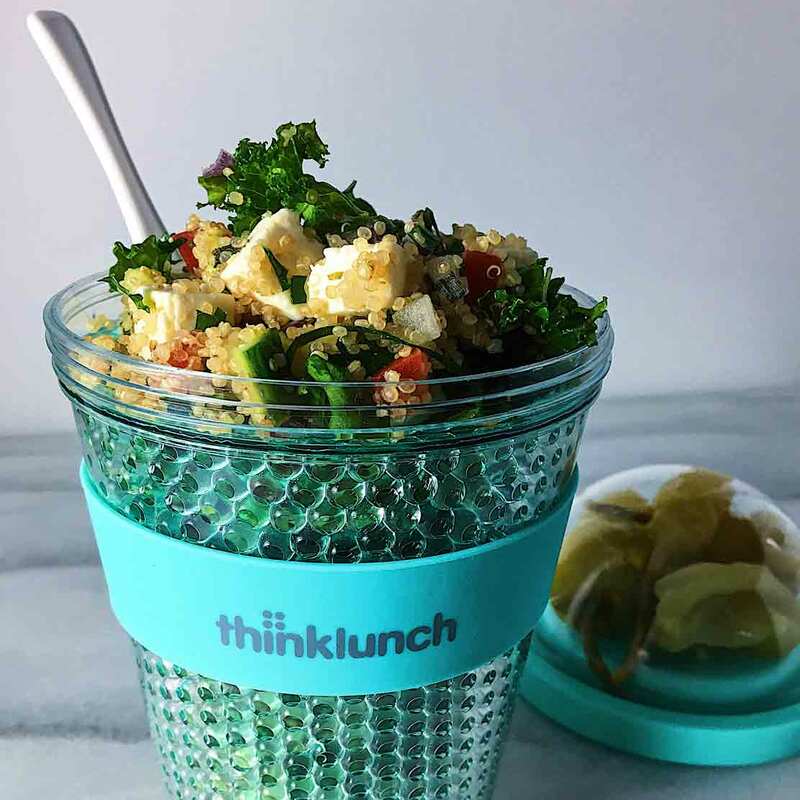 For today’s delicious lunch time meal, we suggest the thinkkitchen Chill Container. Though it was designed for yogurt, it is a versatile container that’s easy to transport and that can keep food cool for hours on end thanks to its built-in freezable wall. 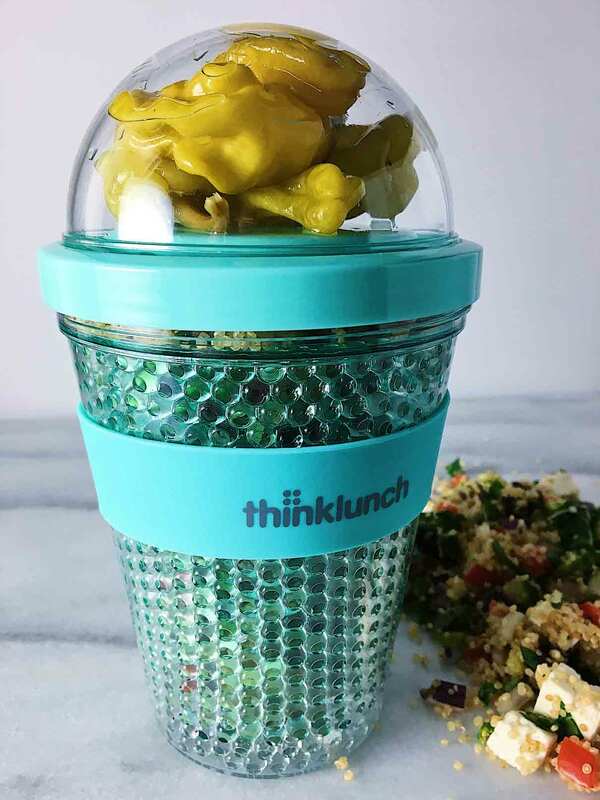 You can fill it with your salad, put some of your delicious toppings or vinaigrette in the lid, and be all set to take on your day! Plus, there’s a silicone band that stores your utensil, making sure you’ll never go to dig into a lunch without everything you need. Talk about practical! A lifestyle change doesn’t happen overnight, but starting with a one week recipe will get you well on your way. Maybe you’ll only meal prep every other week, or once a month! Whatever it is, having this delicious Greek-style quinoa salad is definitely a step in the right direction. So roll up your sleeves, pick up your grocery list and set aside an hour to get you on the road towards the best week you’ve had in a while. In a large heavy-bottomed pot, add quinoa, vegetable stock and oil, and bring to a boil uncovered over medium/high heat. Once boiling, reduce heat to low and cover, checking periodically for 15 minutes. Turn off the heat and let the quinoa steam, covered, for 5 minutes or until tender. Fluff the quinoa in the pot and transfer to a baking tray to cool quickly. Mix all prepared vegetables in a large bowl with the cheese and herbs. Add the cooled quinoa and mix thoroughly. 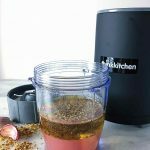 To make your vinaigrette, use a small blender, like the thinkkitchen Ultimate Pro Blender, to purée garlic with vinegar, salt, pepper and olive oil until well blended. Pour dressing over the salad before serving. 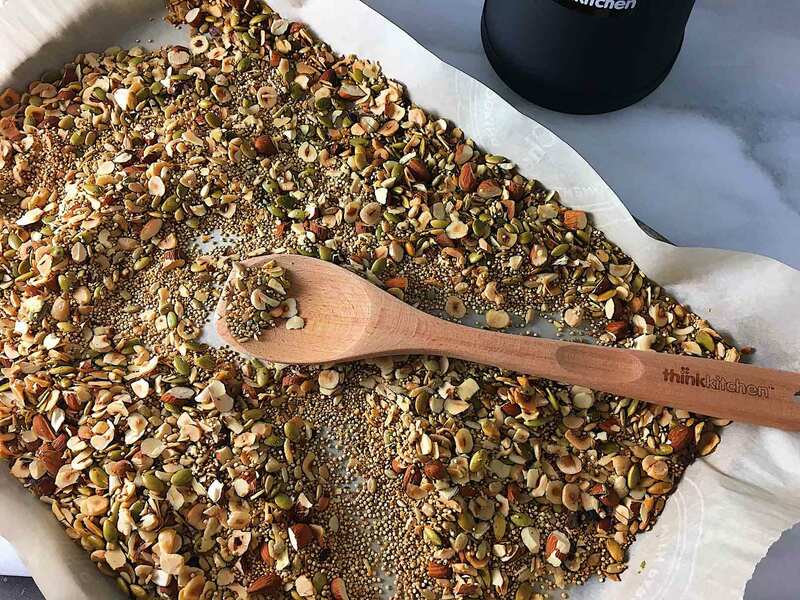 Pour the quinoa, seeds and nuts onto the baking sheet and toast for 15 minutes, stirring the nuts occasionally until browned and fragrant. Let cool. Meanwhile, soak the dates and cherries in the boiling water for 5 minutes. 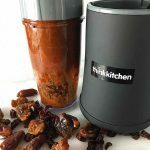 Purée the dried fruit and salt using a blender until smooth and thick. Using a rubber spatula, scrape the fruit purée into a mixing bowl and fold in the toasted nuts and seeds. Scrape the mixture into a large rectangular baking dish lined with parchment paper. Press down using the flat side of a rubber spatula. 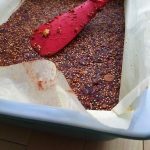 Lower the heat of the oven to 250°F, bake the energy bars for 2 hours or until no longer sticky. Let cool. Refrigerate overnight until firm. Cut into 6 x 6 squares and enjoy. Tip: These can be made two weeks in advance. Use a baking dish with a tight-fitting lid to preserve freshness and store at room temperature. At the ripe old age of thirteen, I started cooking in restaurants. After attending the Pacific Institute of Culinary Arts in Vancouver B.C. and much traveling, I pursued my career by cooking my way through some of the top restaurants in a city known for its culinary scene, Montreal.